Back in February we brought you news about Disney Movies Anywhere, which was an iOS app only at the time. The app lets you purchase a movie to view, allowing you to choose from a library of Disney films. Seems perfect for Disney addicts. For $19.99, you can have your selected Disney movie streamed to your phone or tablet. You can also keep it on your mobile device to view again later while off-line if you like. The draw here for fans is that you’re actually purchasing the title, the movie is yours to keep forever. It’s not a rental. So you can watch your movie endlessly if you want. Now we have some good news for Android users. Disney Movies Anywhere is available for your Android powered device now. The library consists of about 400 Disney, Pixar and Marvel movies. Just like the iOS version of the app had deep integration with iTunes, the Android version has the same with the Google Play Store. 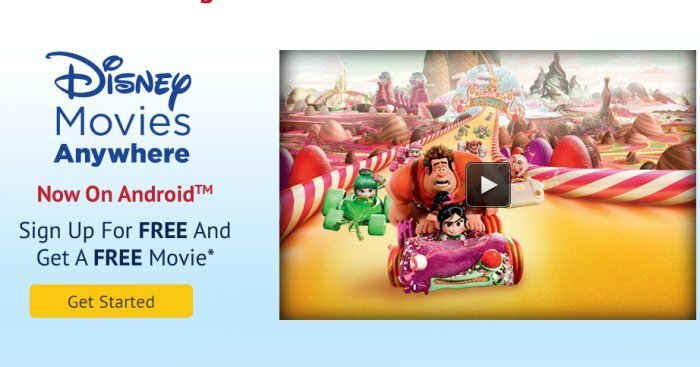 If you sign up to Disney Movies Anywhere, you will even get a free copy of the Disney movie Wreck-it Ralph. If you are a Disney fanatic who feels that they have to own the movies this is really the way to go.